Conn, Heather. "Yvon Dumont". The Canadian Encyclopedia, 14 January 2019, Historica Canada. https://www.thecanadianencyclopedia.ca/en/article/yvon-dumont. Accessed 18 April 2019. Yvon Dumont, CM, OM, Métis leader, lieutenant-governor of Manitoba	(born 21 January 1951 at St. Laurent, Manitoba, a mostly Métis community northwest of Winnipeg). Dumont became involved in Indigenous politics as a teenager and, throughout his career, held senior positions in the Manitoba Métis Federation (MMF), the Native Council of Canada (now the Congress of Aboriginal Peoples) and the Métis National Council (MNC). As MNC president in 1986, Dumont participated in the defeat of the Charlottetown Accord. On 5 March 1993, he was sworn in as the lieutenant-governor of Manitoba, the first Métis person in Canadian history to hold a vice-regal office. Yvon Dumont was a successful appellant in the 2013 Supreme Court of Canada	land claims case Manitoba Métis Federation vs. Canada. This case helped bring about the signing of a memorandum of understanding in May 2016 between the Canadian government and the MMF to “advance exploratory talks on reconciliation.” Dumont remains a proponent of recognizing the Métis people as a distinct Indigenous population. Yvon Dumont grew up in St. Laurent, a town on Lake Manitoba with 1,338 inhabitants as per the 2016 census, of which 750 self-identified as Métis. He was one of 12 children of Therese and Willie Dumont. Dumont’s family had a history of political involvement. His mother’s relatives, the Chartrands, were one of 12 Métis families established in the town by 1850. 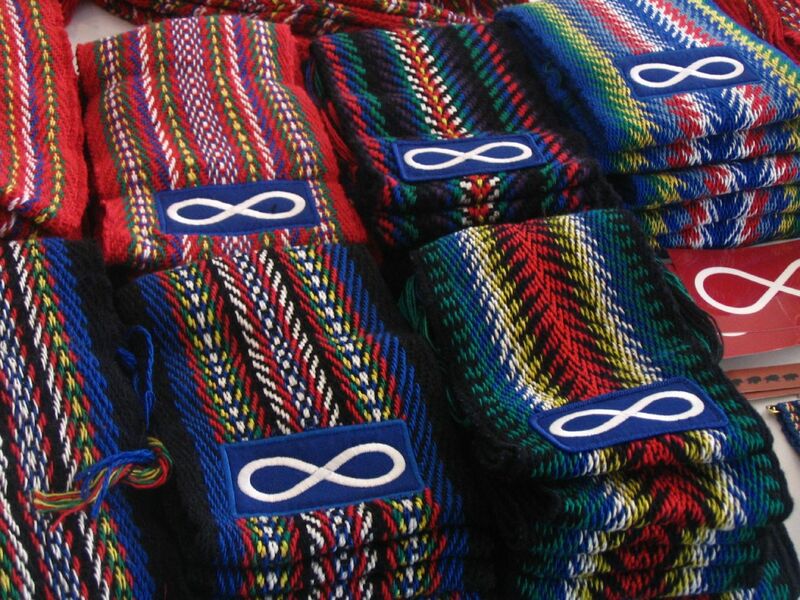 They helped negotiate Métis land agreements when Manitoba	joined Confederation in 1870. His father was a founding member of the Manitoba Métis Federation in the 1960s. Yvon Dumont married Lyla Klassen in 1975 and has three children: Jill, Joel and Dana. Yvon Dumont became involved in Indigenous politics at the age of 16. He served as the Manitoba Métis Federation (MMF)’s secretary treasurer of its local chapter in St. Laurent in 1967, and five years later as director of its Interlake Region board. Dumont became the MMF’s executive vice-president in 1973. At 21, Dumont was a founding vice-president of the Native Council of Canada (now the Congress of Aboriginal Peoples), serving from 1972–73. He was elected president of MMF in 1984, and subsequently re-elected for three successive terms and served in this capacity until 1993. In 1999, Dumont became the MNC’s governor, a ceremonial, non-political role. Dumont ran for Council president in 2001 while still remaining governor. After he lost the election, he continued his duties as governor. On 5 March 1993, Yvon Dumont was sworn in as the lieutenant-governor of Manitoba, the first Métis person to hold a vice-regal office in Canadian history. He remained in this position until 1999. In addition to his work in civic politics, Yvon Dumont has been active in several small businesses and has served as a board member of numerous institutions. He was a council member in the rural municipality of St. Laurent, and served as a member of the board of governors at the University of Manitoba in Winnipeg. He was also appointed to the board of the Aboriginal Healing Foundation. Dumont became the first chief executive officer of the Louis Riel Institute in Winnipeg and served on the national division of the Aboriginal Economic Development Board. In September 1995, Dumont was named Knight of Justice by The Most Venerable Order of the Hospital of St. John of Jerusalem. That same year, his attempts to clean up Winnipeg’s Seine River earned him a Community Service Award from the Canadian Society of Landscape Architects. In 2001, Dumont was appointed co-chair of the North American Indigenous Games, held in Winnipeg the following year. Yvon Dumont played an instrumental role in redefining Manitoba history. He led the negotiations that resulted in both the Canadian and Manitoba governments officially recognizing Louis Riel	in 1992 as the founder of the province of Manitoba. This transformed Riel’s historical reputation both within the province and across the country from outlaw to patriot. In Manitoba Métis Federation vs. Canada, the Manitoba Métis Federation (MMF), Yvon Dumont and 16 other appellants sued the federal government in 1981 over land claims	in Manitoba. They wanted a declaration that the Crown had not honoured its obligations in providing lands promised to Métis people in the Manitoba Act, 1870. They also sought a statement that specific legislation passed by the Manitoba government, which affected the implementation of the Manitoba Act, was not within the province’s jurisdiction. After 26 years of litigation, the MMF lost the case in 2007, as well as an appeal case in 2010. However, in 2013, the Supreme Court of Canada agreed to hear the case and ruled that the federal government had indeed failed to implement the land grant provision set out in section 31 of the Manitoba Act, 1870 as per the honour of the Crown. The decision did not order any remedies, but in 2016, the Canadian government and the MMF signed a memorandum of understanding. This was meant to “advance exploratory talks on reconciliation” in response to the MMF decision.